what about the other platforms?? MikeB wrote: I doubt it currently works. MikeB wrote: Are you using ersky9x or openTx on your Taranis? That's exactly what I want (one buddybox & one headtracker) ! Or is there another channel/forum for OpenTx devs discussions? I tried to find a post that could "fit" my question. I managed to use a "student" receiver (sbus or cppm both works) plugged into the trainer/master taranis (master-sbus or mater-cppm) input. Is there a way to "add" more channels to the taranis-master coming from the another student-receiver via the cpmm/sbus input (trainer port)? All 16 channels from the student should be available, but only the first 4 are handled "automatically". The 16 possible trainer inputs are called TR1 to TR16 on openTx (PPM1 to PPM16 on ersky9x). Any of these may be used as a mixer source. So you have channel 5 controlled by the left slider, but if you pull SH on, channel 5 will be controlled by the channel 5 input (TR5) from the student. It’s been awhile since anything was posted here but I have a question Mike. If I want to use a HK Orange 616 receiver, postage stamp size with cppm out, to bind it one shorts the cppm pin to ground. To add a bind button and use it, I’ll also be shorting pin 2 heartbeat pin to ground. Would I want to add some resistance in series with pin 2 and the rx cppm out,bind button at the receiver, to prevent shorting pin 2 to a ground? No problem. The heartbeat input on pin 2 is buffered by a diode and a transistor and there is no problem to shorting it to ground. Excellent news, you’re the tech google as far as I’m concerned! One other clarification, should this also be true for the Taranis and Qx7? I may swap my dsmx receiver or diy module around for others to try as a Frsky/Spektrum wireless trainer option. So D5 and R73 10k are the diode and resistor on the plus your referencing to? If so, I understand even more. Yes, those are the devices, the resistor pulls up to 3.3V, the input signal pulls that down via the diode. Got it, understand it, thanks for the explanation of what they do. Whether it is possible to control the slave transmitter by the SBUS which is connected other end to the receiver. Of course, we control the receiver from another transmitter. Why is it necessary? To verify the reliability of the connection (Range Test) of the new receiver-transmitter alone, without friends. if soldered in, will R1 allow the pin to be used like it is on the X9D/+ and X7? I'm assuming the plan is to use only the Bluetooth wireless trainer in the X10-X12, but report seem to indicate it's not reliable? Yes pin 2 does work on my non S X7, can't say for the X7S? Looks like Frsky is going in many directions with each version tx? Too bad as many of these options work well and offer many DIY solutions, the beauty of the OpenSource concept they embraced by allowing ERSKY9x and OpenTX to be used as well as FrOS. The reason there is no SBUS input on pin 2 on Horus is that the MCU pin it's connected to is not a serial port RX capable pin like on Taranis. Nothing to do with a resistor. Bummer! I planed on buying a x10 or x10S as soon as Frsky settles down on the release tweaking. 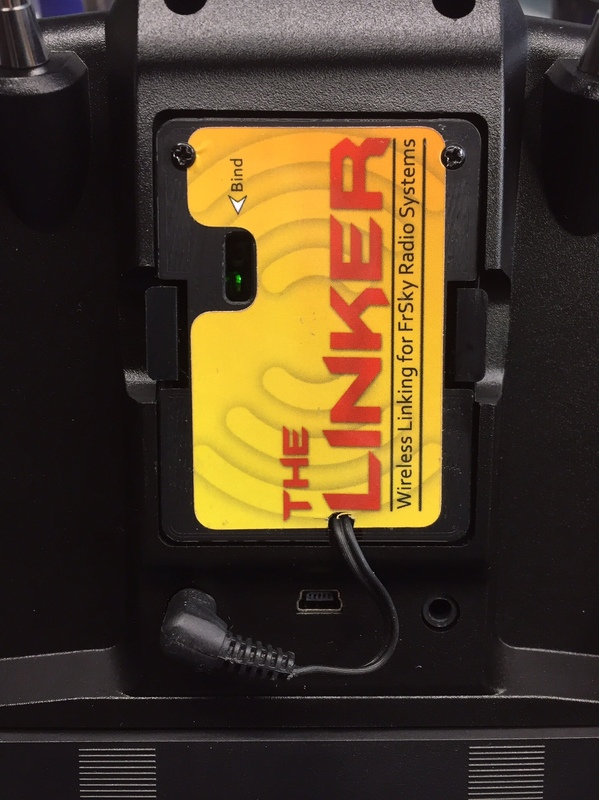 So if the Bt wireless trainer is truly a bust, and there still is a trainer and module port, then back to a Linker and cppm receiver setup like this? Well I have driver code for a software driven serial input port in ersky9x. As long as the pin is connected to a timer, which it is, then that driver should allow the heartbeat input to operate as a SBUS input. I've read the thread, but I'm not sure. Where on the x7 does one plug in the s.bus for the trainer? Last edited by interestingfellow on Mon Nov 19, 2018 11:49 pm, edited 2 times in total.